Click to view the Final RE-MAT Decision for renewable energy projects up to 3 MW in size. 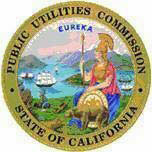 This decision orders Pacific Gas and Electric Company (PG&E), Southern California Edison Company (SCE), and San Diego Gas & Electric Company (SDG&E) to revise their Feed-in Tariff (FiT) programs to include a new streamlined standard contract and revised tariffs. The new streamlined standard contract incorporates the FiT program requirements adopted in Decision (D.) 12-05-035,1 as modified.2 The terms of the standard contract and the provisions of the related tariff are adopted herein and will be implemented through a Tier 2 advice letter filing. The FiT program is established pursuant to Pub. Util. Code § 399.20,3 as amended, by Senate Bill (SB) 380 (Kehoe, Stats. 2008, ch. 544, § 1), SB 32 (Negrete McLeod, Stats. 2009, ch. 328, § 3.5), and SB 2 of the 2011-2012 First Extraordinary Session (Simitian, Stats. 2011, ch. 1) (SB 2 1X). This decision does not address the recently effective amendments to § 399.20, enacted by SB 1122 (Rubio, Stats. 2012, ch. 612). We will address SB 1122, and modify the FiT program accordingly, in a subsequent decision.